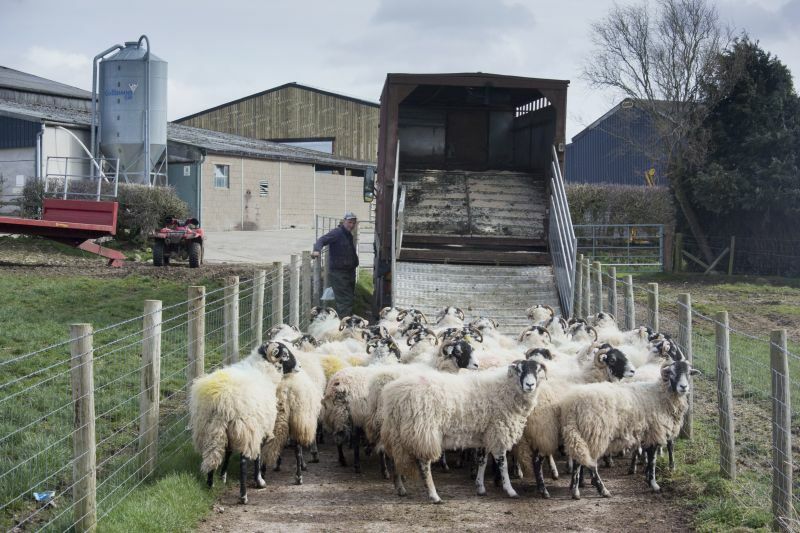 The UK’s leading veterinary association is urging the government to put welfare 'at the heart' of any decision-making with regards to moving livestock inside and out of the country. In its updated position, the British Veterinary Association (BVA) emphasises its support of current UK legislation, but would like to see improved implementation of current laws. But the group, which consists of over 18,000 members, said there is an 'increasing political appetite' for improvements to be made. The BVA said it welcomes improvements but argued that these should be 'evidence-based'. The body also recommended that any proposals to improve welfare during transport should embrace all forms of transport and include welfare issues before, during and after movement. One recommendation mentioned is for livestock to be slaughtered as close to the point of production as possible. However, transportation of live animals can be unavoidable in some situations, for example, journeys between the Scottish Islands and Highlands. A solution for this is the introduction of mobile abattoirs, which visit individual farms and, in turn, are beneficial for animal welfare, removing the distance animals must travel. The Scottish government has been urged to commit to implementing a network of mobile abattoirs across remote areas of Scotland. Another recommendation by the BVA highlights that no animal should be exported to a destination with unknown welfare standards, to one using systems currently banned in the UK or to a country where it would be slaughtered without stunning. Last year, the veterinary industry urged the government to confirm whether British lamb exported under a new trade deal with Saudi Arabia would be stunned before slaughter. BVA President, Simon Doherty said: “Ideally, we’d like to see livestock slaughtered close to the point of production, as long as all legislative health and welfare standards can be maintained. However, we recognise the high standards of welfare in the UK and support better implementation of current legislation. “We have taken care to reiterate that any improvements made to live animal transport should consider welfare issues before, during and after movement so that a more complete approach is taken on this issue. “We recognise that journey length is not the only influencer of welfare conditions for animals, and transport needs to be looked at as a whole rather than focusing on single factors. The most important thing for government to do is to consider the evidence base when it weighs up options for making improvements,” he said. The recommendations come as farmers criticise proposals made by animal welfare organisations to ban live exports, with the Farmers' Union of Wales saying such a ban could cut off an “essential lifeline” for producers.